Help, how to topics > Tracking circulation transactions > Check in/out transactions table. Edit, delete selected, delete or move all transactions. 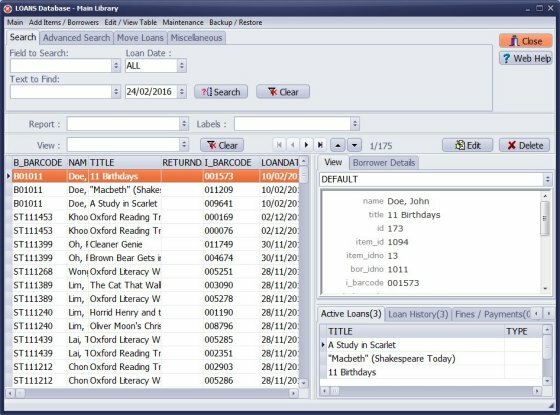 Define advanced search query to display old transactions. 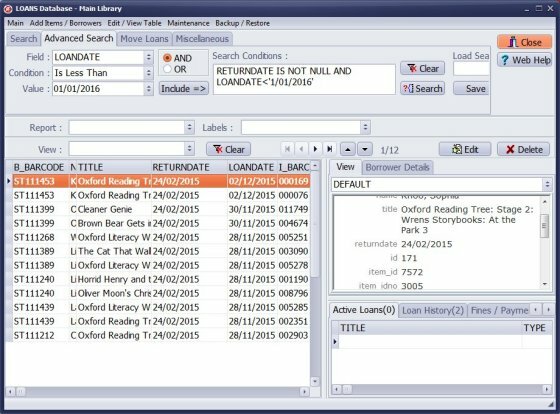 For example: display all transactions from 2015 (only returned items). 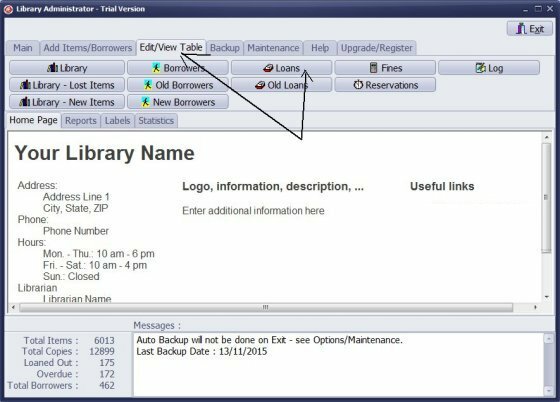 Click Move All Loans to move displayed transactions to Old Loans. Ever since spring break, my due dates have been off a week. I have been having to change them manually per student. Can you tell me how I can change this so that it applies to all loans? 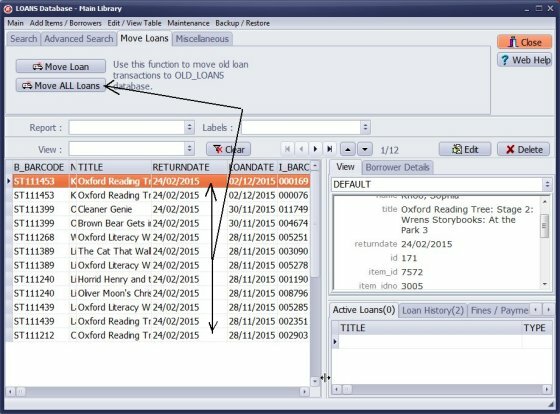 The global search/replace is not yet implemented in the LOANS table.